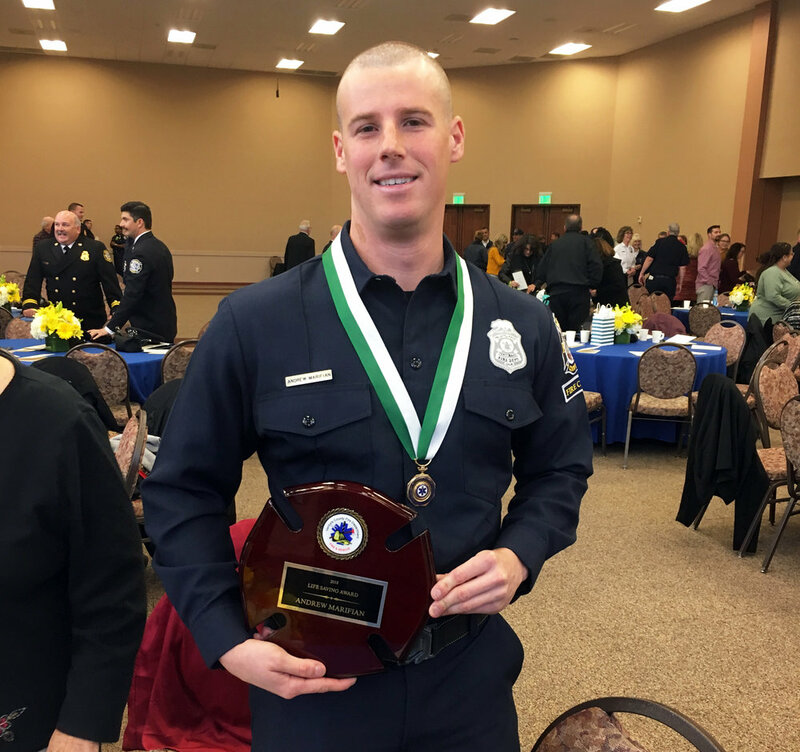 DOWNEY — Andrew Marifian, a 2009 graduate of Downey High School, was honored last week by the Ventura County Fire Department for his heroic efforts during a wildfire last year. Marifian was presented the Lifesaving Award, along with proclamations from the cities of Moorpark and Simi Valley. Marifian was among four firefighters who went door to door in the early hours of last year’s devastating Thomas Fire to alert and evacuate people from the oncoming wildfire. “Their work saved countless lives,” said Kelly Long of the Ventura County Board of Supervisors. Marifian has since been hired by the Kern County Fire Department where he will begin working in March.